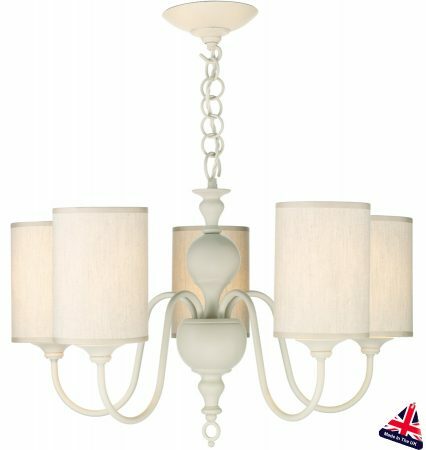 Made from cast resin and hand airbrushed and painted to achieve the desired finish, the Flemish 5-light cream chandelier has a wonderful full shaped body and sweeping slender arms, supplied complete with cream drum lamp shades. Part of the Flemish lighting range, made and hand-finished in the UK to the highest standards. Height adjustable at the time of fitting, minimum height 460 – maximum height 880mm.